In fiery 18K red or yellow gold and smooth stainless steel, this timepiece is a stylish addition to an iconic collection. 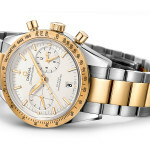 Inspired by the design of the first OMEGA Speedmaster from 1957, the Speedmaster ’57 has straight lugs extending from the watch case and the bracelet recalls that of the renowned chronograph. The 41.5 mm case blends 18K red gold with stainless steel, a timeless combination. 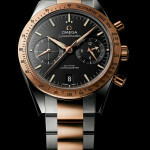 The black dial features two sub-dials instead of the three that are normally associated with the Speedmaster. This distinction is made possible by the placement of the 12-hour and 60-minute counters on the same sub-dial at 3 o’clock allowing a comfortable and intuitive chronograph reading. The second sub-dial at the 9 o’clock position keeps track of the passing seconds. The 18K gold bezel is easily recognisable with its familiar tachymeter scale. 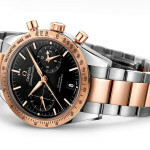 Powered by the OMEGA Co-Axial calibre 9300 – the first of OMEGA’s exclusive Co-Axial calibres to incorporate a chronograph function – the Speedmaster ’57 combines a vintage look and a revolutionary movement. This incredible technology is visible through the sapphire crystal caseback. 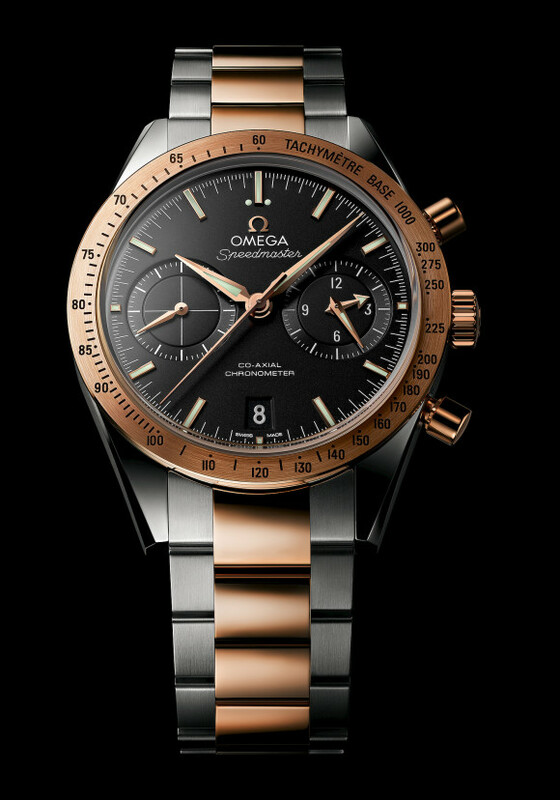 The reliability of the OMEGA Co-Axial calibre 9300 is so outstanding that the Speedmaster ’57 is delivered with a full four-year warranty and it is water resistant to 10 bar (100 metres / 330 feet). 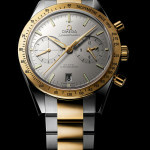 This entry was posted in Press Release, Speedmaster Automatic and tagged 331.20.42.51.01.002, Co-Axial, Speedmaster '57 on December 22, 2013 by Dale Vito.